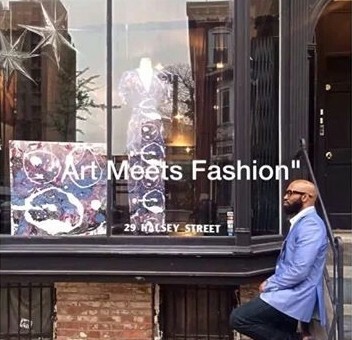 A collaboration with TCA artist Anthony E. Boone and fashion designer, Marco Hall, the Spring 2014 collection is inspired by two of Boone's pieces, Brightest of the Stars and Urban Faces. With a wide variety of noteworthy ready-to-wear looks including striking dresses, the Spring 2014 collection displays Hall's and Boone's constantly growing vision of the relationship between cutting-edge design and the aesthetic of fine art. Additionally, a private auction will be held for the pieces shown. If interested in participating in the auction, please email booneartlife@gmail.com for more information.